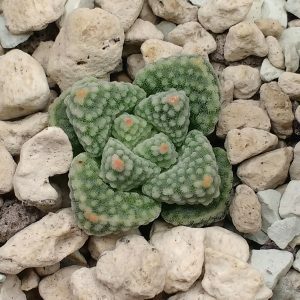 Pelecyphora is a nice group of small, somewhat globular cacti Famous is Pelecyphora aselliformis which is native to Mexico (San Luis Potosi). 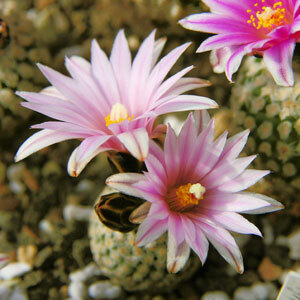 These cacti require bright light to grow and a very permeable mineral soil. 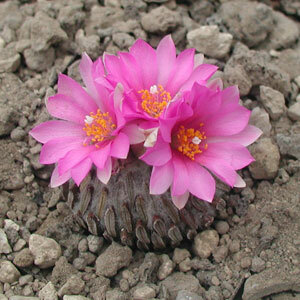 Flowers are red to violet and appear in summer. 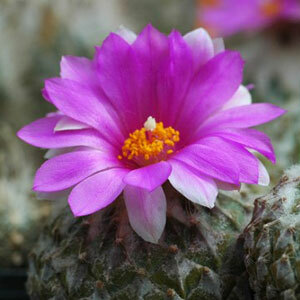 Keep Pelecyphora dry in winter at a minimum temperature of around 10-13 °C. 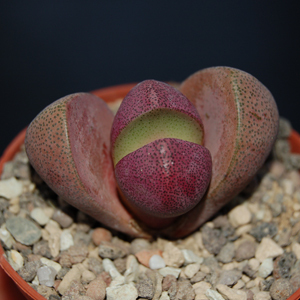 Propagation is done from seeds. Using the Fleischer method is recommendable. 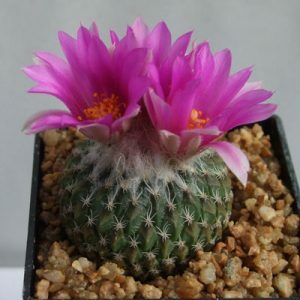 Young plants and seedlings can be grafted on a faster growing stock like Trichocereus, Harrisia or Myrtillocactus to speed up growth.